But surely we’ll never reach the point where gun haters in a U.S. government agency will actually start doctoring images to remove the rifles (the arms with which Americans won and have long defended our freedoms) from the hands of American COMBAT SOLDIERS, will we? — altering an image of a soldier in combat, removing the piece of equipment on which his survival depended, to make it appear that U.S. soldiers CARRY NO NASTY RIFLES when they go to war? In the revolutionary war and even as late as our Civil War, specially designated American soldiers did march into battle carrying flags, sometimes on flagstaffs called “spontoons”—essentially half-pikes with pointed steel lance-heads on the business ends, which could be used as weapons of last resort. 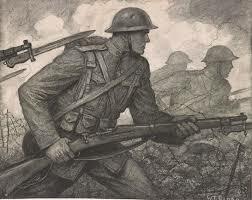 But by 1917, by which time the easy-to-target brightly colored uniforms of 1914 had been quickly replaced with clothing better suited to blend into the blasted environment of No-Man’s-Land, essentially NO ONE still marched toward enemy machine guns carrying brightly colored flags—certainly not encumbering their arms, where their rifles should have been. 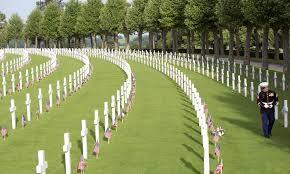 “Hello Vin, Thank you for your interest in the World War I stamp. It was my deep privilege to art director this issuance to commemorate America’s role in bringing World War I to an end. 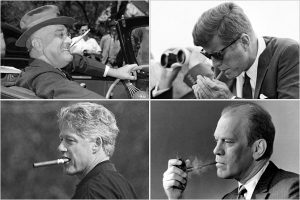 Such an incredible part of our history. Although I called during business hours, I ended up leaving a voicemail message with the Postal Service Public Relations office in Washington. No one there would actually talk to me by phone, or let me talk to anyone directly involved in the decision to remove the rifle. 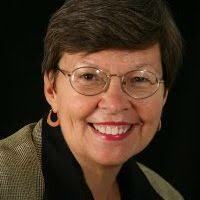 Public Relations guy Carl Walton did send me a brief email, asking the nature of my inquiry. “I find it interesting that there’s apparently now some reluctance to show a U.S. soldier carrying a rifle, even as he walks into combat (barbed wire & shell burst behind),” I continued. 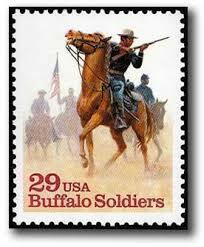 “As recently as 1984, the ‘Buffalo Soldier’ stamp showed a cavalryman SHOOTING his rifle. I’m looking for some background on who makes up that advisory committee, how they got there, and their thinking about eliminating the rifle. A direct quote from someone involved in the process, explaining their thinking, would be great. I’d be happy to talk with such a person on the phone. 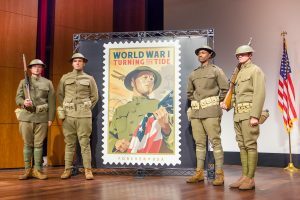 “Dear Mr. Suprynowicz, Thank you for your inquiry about the United States Postal Service’s 2018 World War I stamp. 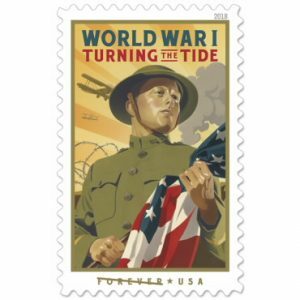 In designing this stamp, the Postal Service wanted to express the many ways in which the United States contributed to turning the tide of the war. 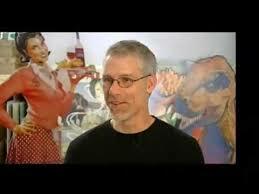 “The design team drew inspiration from the illustration, typography and poster work of the World War I era. Many concepts were evaluated and discussed as the design team considered which aspect of the history of WWI to focus on. Early sketches may have included a soldier holding a rifle, but when we reviewed color studies, the designs were flat and brown. To work as a stamp, the artwork needed a strong colorful focus, something to grab the viewer. “The designers realized that with all of the detail in the initial sketches, it wasn’t immediately clear that we were honoring the American contribution to World War I. As we were already working in a poster-like style, we decided to focus on a single image that would be a patriotic representation of the American presence in the war and not a literal scene. The inclusion of the flag gave this stamp much needed color and a strong, patriotic message. “This design direction was presented to the Citizens’ Stamp Advisory Committee and is the one they endorsed and sent forward to the Postmaster General for consideration. Artists don’t generally get awarded contracts to design postage stamps based on “rough sketches.” The main element of Stutzman’s design—as is obvious to anyone looking at the finished stamp — was a soldier holding a rifle. Why is the rifle gone? Few of the greatest and most collectible U.S. postage stamps look like a Day-Glo kid’s toy box. And the point isn’t whether they wanted to add a flag — a brightly colored flag could have gone over the doughboy’s shoulder, in the background. The question is why they used it to REPLACE THE RIFLE. What were Carl Walton’s “many (other) ways in which the United States contributed to turning the tide of the war?” Did our soldiers and Marines accomplish that by operating soup kitchens or handing out propaganda pamphlets? No—and no such activities are featured on the stamp. 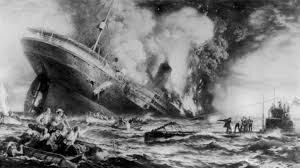 Yes, we sent war materiel—in fact, it’s now the general consensus that the passenger liner Lusitania—the sinking of which helped lead Woodrow Wilson to take us to war (mere months after he won re-election with the slogan “He Kept Us Out of War”)—was carrying ammunition and other contraband war supplies from the States, in violation of America’s supposed neutrality, when she went down. 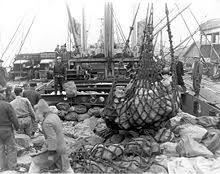 But there are no images of stevedores loading merchant ships on the stamp. On June 6, without artillery support, United States Marines charged across 800 yards (a half-mile) of open wheat fields into German machine-gun fire—and into the woods. 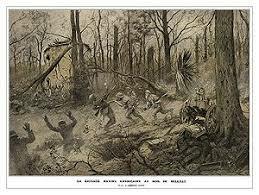 The adversaries clashed in bitter hand-to-hand fighting with knives, rifle butts, bayonets, and trench shovels. 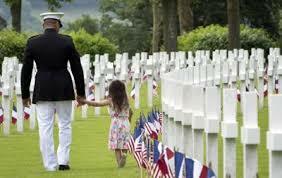 As Marine officers and NCOs fell dead or wounded, junior officers and enlisted men took their places. Repelling a German counter-attack, then-Gunnery Sergeant Ernest A. Janson—serving under the name Charles Hoffman — repelled an advance of 12 German soldiers, killing two with his bayonet (attached to his RIFLE) before the others fled. 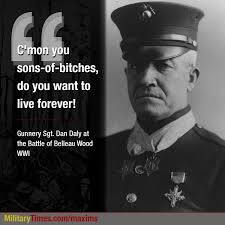 He became the first Marine to receive the Medal of Honor in World War One. 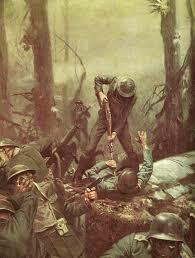 In the end it took three weeks, but the Marines took back the Wood. The 4th, 5th and 6th Marine Brigades were awarded the French Croix de Guerre. Of its complement of 9,500 men, the Fourth Brigade suffered 1,000 killed in action, with 4,000 wounded, gassed, or missing—a 55 percent casualty rate. In about 60 seconds I was able to come up with the committee members’ information on my own, including the fact that the chairwoman of the advisory committee is 68-year-old Janet R. Klug of Pleasant Plain, Ohio, past president of the American Philatelic Society and author of “Guide to Stamp Collecting” (2008) and “100 Greatest American Stamps” (2007)—on the cover of which is displayed the 1847 five-cent Franklin, which is—sorry—dull and brown. So a little before Lunchtime, Ohio time, Friday April 5, I called, politely introduced myself, and asked Miss Klug if the rifle had already been removed from the design when the “Turning the Tide” stamp was forwarded to her committee. 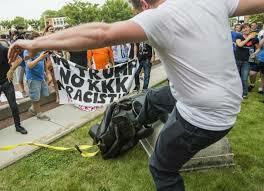 This ongoing purging of our history—tearing down statues of the Founding Fathers (even the ones who called for an end to slavery and freed their slaves—hardly a popular or even an easy act at the time) and quietly purging all traces of the firearms that won our freedom—isn’t conducive to a reasoned, evidence-based discussion of the millions of civilians murdered by their own governments in Stalin’s Soviet Union and Hitler’s Germany and Mao’s China and Pol Pot’s Cambodia—all Socialist tyrannies—because they had no firearms with which to defend themselves. No, no. The hoplophobes hope we won’t notice what they’re up to—Michael Bellesiles writing his fraudulent book “Arming America” about how his fake study of Last Wills and Testaments supposedly proved Americans of previous generations didn’t generally own guns (but when skeptics asked to see his raw data, including from San Francisco before the fire, it was, um … “lost in a flood”), and now the newer sequel, the bogus claim that America has “more mass shootings” than any other country — conveniently ignoring the higher rates of shooting-deaths-per-capita in Norway, Serbia, and France, not to mention blood-soaked Mexico, Eastern Europe, and half of Africa. They hope we won’t notice their literally taking the rifles out of the hands of the American heroes of yesteryear—and that if we DO notice, they can put us off with a bunch of cleverly worded double-talk about “preliminary sketches” and “the many other ways” (other than troops shooting rifles) “that Americans helped turn the tide” … and finally about how guns are just so dull and brown and dirty looking. But we’ve noticed. We’ve noticed that the stonewalling sneering bureaucrats and growling left-wing harridans of the United States Postal Service have taken this particular doughboy, who was willing to march to death or glory for his country in a war he never asked for—a doughboy now long in his grave, his voice of protest stilled—and stripped his rifle from his arms. p.s.—By the way, one of the other eight new stamps on that poster in the post office? 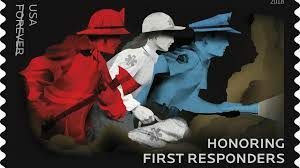 It honors America’s “first responders.” There’s a fireman, an ambulance attendant/technician, and a police officer. The police officer, responding first to the scene of a crime? In his only visible hand he holds … a flashlight.